The suit trends that we’re falling for this season. Autumn is well and truly here. The season that’s welcoming a fresh collection of dark hue tones and crisp textures. For men, dressing smart this season can be hard work – whether for a special event, work meeting, or your day-to-day look – the suit is a garment that certainly transitions with the weather. 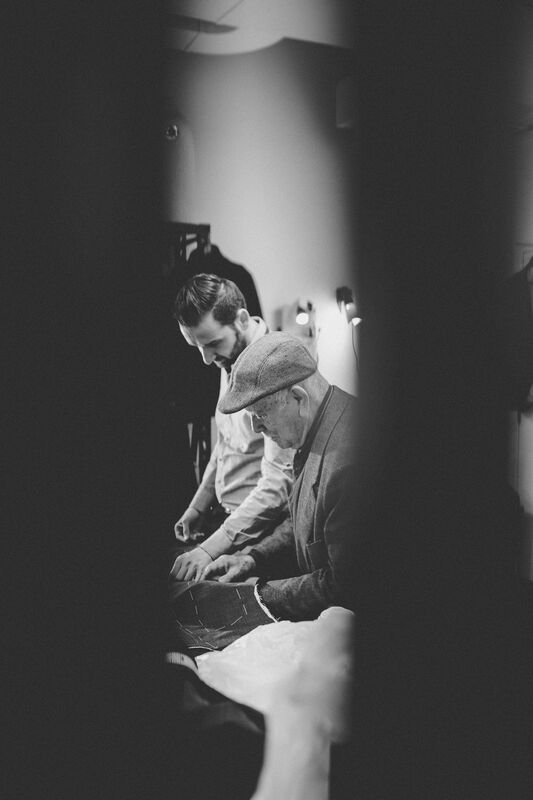 To help guide us through this diverse time of year, we sat down with the Director of Oscar Hunt, Chris Edwards – Australia’s leading made-to-measure tailors. Here, Oscar Hunt has paired with Hunter and Bligh to share the newest suit trends and tips you’ll be falling for this season. Autumn is a great opportunity to explore fabrics that best complement the season, it’s also a great time to experiment with new fabrics that were neglected throughout spring and summer. Think flannel for instance. It’s easy to picture flannel on the local lumberjack but the conventional suiting fabric is often favoured for its weight, better drape, interesting texture and more importantly, it keeps you warm during the shoulder season. An example of this is Oscar Hunt’s flannel navy suit which harnesses textures that contrast with the sheen of their woollen counterparts. Pair this with an elegant tie and quality pair of shoes and you’re set for a timeless formal look. 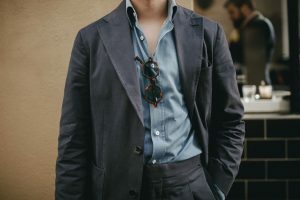 The double-breasted suit has certainly divided fashion houses for decades; however, when it comes to autumn 2019, we can confirm it’s back. 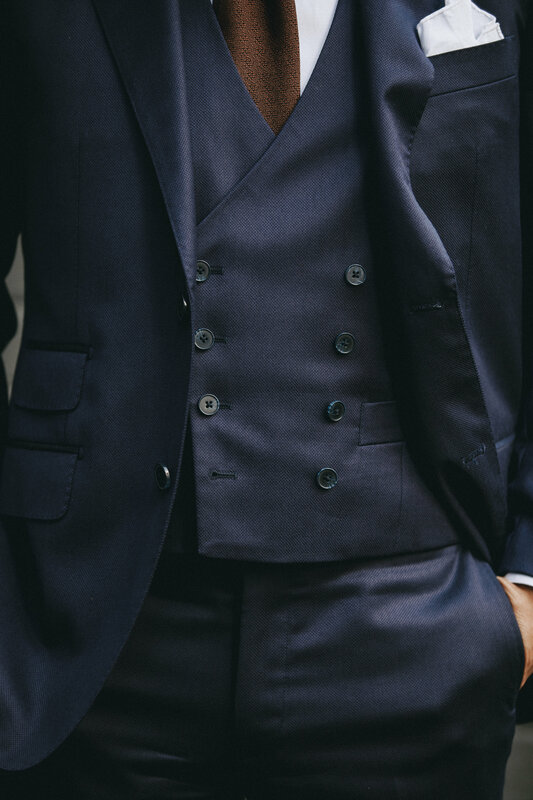 Always a statement, the double-breasted suit is a combination of class and style. 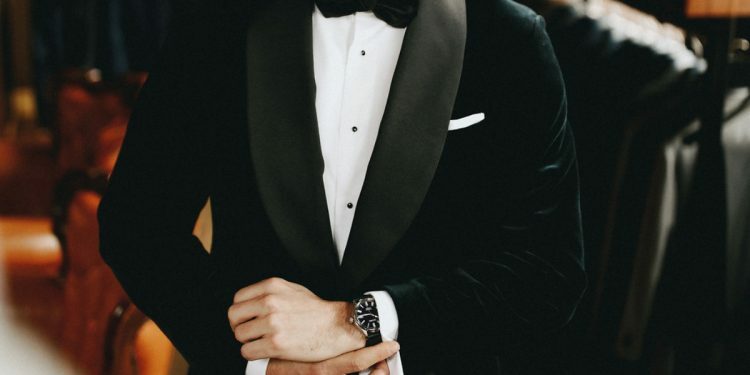 Particularly with made-to-measure, you can design your suit with attributes to accommodate for autumn and well into winter, while still remaining classic. Simply put, who doesn’t want to look good and keep warm on a 12-degree day? Envision a medium grey double-breasted mohair suit accompanied by a crisp white shirt that acts as a blank canvas for a polka-dot patterned necktie – don’t be afraid to layer up. Finding a suit shouldn’t start on the rack, but rather in your head. Ask yourself – is the suit purposed for work? A friend’s wedding? Is it for a first date with someone you just met or at your friend’s wedding? Or, all of the above? When it comes to suits, first impressions matter, and the influence of made-to-measure tailoring should never be underestimated. You may be wearing the right colours and the patterns of the season, but without a made-to-measure fit, the ensemble will not work. Sometimes, it’s the nuances of a custom garment that matter. 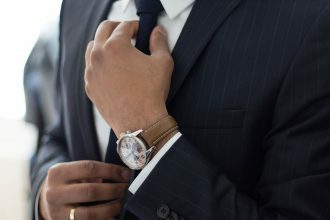 With made-to-measure suiting, you’re able to build directly on your own strengths and features, while, more importantly, reflecting your own unique character. Summer and spring were all about bolder colours and softer palettes whereas this season, we’re going back to the basics – with classic colours and stronger tones. Keeping it classic means embracing more sombre colours including the likes of midnight navy and charcoal grey alongside serious patterns such as herringbone and glen plaid – often associated with autumn/winter months. 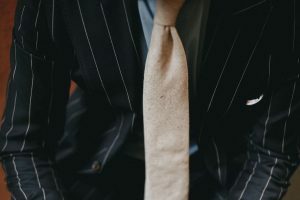 Alternatively, opt for suits with subtle, understated patterns such as windowpane checks, which always (no, really) work harmoniously well with navy and grey suits – breathing new life into the corporate world. For more information and to make an appointment visit Oscar Hunt.